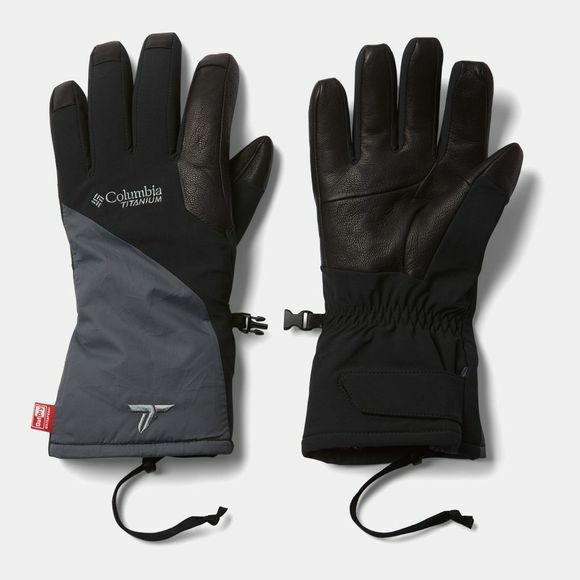 The Mens Powder Keg II Glove from Columbia are a much needed accessory for your hands during skiing. They feature Omni-Heat 3D reflective lining, 100 g insulation to keep your hands warm in very cold weather and OutDry waterproof construction to protect from snow and rain flurries. The Berber fleece lining offers extreme comfort as you move your hands, while the leather palms and 3-Point precurve allow for a secure grip. The hook and loop adjustment at the wrist enables you to attain a perfect fit.